Soil: Plant in soil w/plenty of organic material. Description: Very hardy perennial, culinary & medicinal, 48 inches tall. 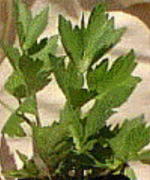 Used as celery substitute in pickling, dressings, stews. Attractive plant. Care: Plants die back to the ground over the winter. During second season plants produce best harvest. Easy to grow.